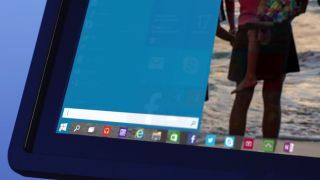 The path to Windows 10's eventual arrival on PCs has been meticulously pieced together just days after we found out the OS will be released in July. ZDNet pulled together all of the details that come as part of the optional KB3035583 update and managed to work out the way Microsoft will handle the rollout. Windows 8.1 and 7 users have to choose to download the latest update and when they do it will bring a number of different capabilities tagged with the GWX (Get Windows 10) acronym first mentioned by Myce earlier this month, which will lead their PC closer to Windows 10. Four scheduled tasks are at the centre of it all, one of which kicks off an "appraiser" app that is run to check for prerequisites for the download and upgrade that are about to follow. Inside the GWX folder itself is where things get even more interesting. The XML file in there opens up with the "Anticipation UX" that will bring a pop-up advertisement that informs the user of the update. Following that there is a "ReservationPage" that will presumably allow users to opt-in to Windows. Following this is the upgrading, download in progress, download complete, ready for setup, setup in progress, and setup complete phases that will get underway by themselves. The whole process is almost identical to the one that Windows Insiders currently go through for new Windows 10 Technical Preview releases right now. Microsoft is doing a fine job of making sure that more people than ever will be able to use the new version of Windows and to that end it introduced peer-to-peer integration in a recent Windows 10 build to ensure updating is as painless as possible. The Windows 10 roadmap release comes only a day after AMD accidentally informed everyone that Windows 10 will arrive on PCs at the end of July and kick off a new era for the Redmond-based firm.